Smart buses provide a solution to the increasing traffic and the demand for streamlined public transportation services. Smart buses offer passengers a convenient and efficient means of traveling, and help bus operators to consolidate fleet management, facilitate daily operations, improve safety and enhance the traveling experience. Equipped with advanced computing, wireless communication, and global navigation satellite system (GNSS), smart buses can be monitored and co-ordinated meticulously to ensure bus services are performing within standards. 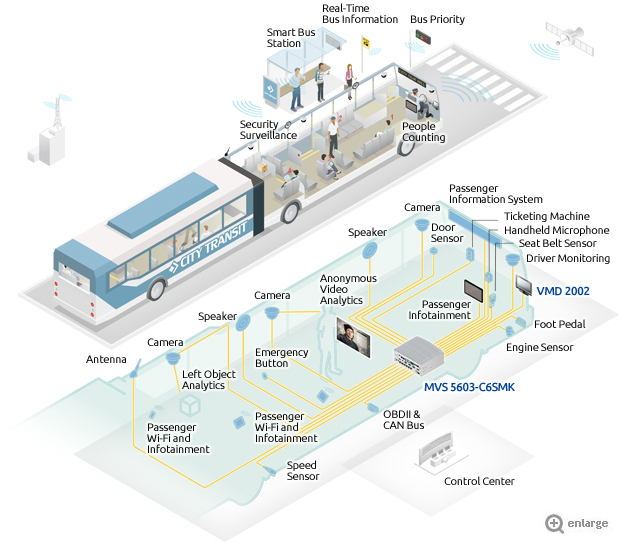 In addition, real-time live surveillance and video analytics of bus fleets can be implemented to respond to emergency events and ensure security and safety of drivers and passengers. 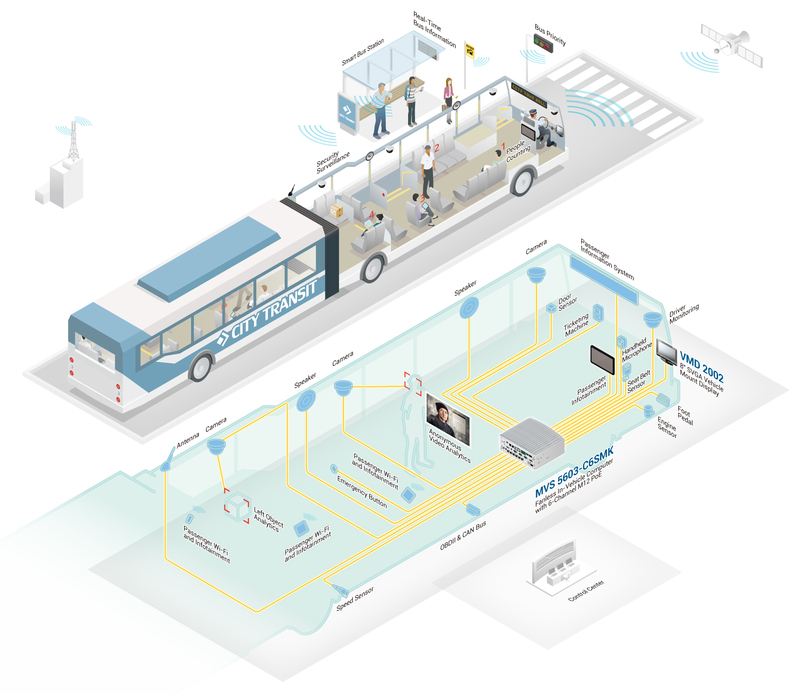 Furthermore, smart buses can monitor and collect data such as driving behavior and passenger flows, giving bus operators insights into its fleet operation and allowing them to make service improvements or timetable rearrangements when necessary.